Alternative and real estate investments should be a part of every investment portfolio, with some experts recommending an allocation of over 30%. With stock and bond market volatility that can take drastic swings based on the day’s headlines, investors can take comfort in the security and stability that investing in a hard real estate asset such as self-storage can provide. U.S. self-storage industry statistics: Updated 12/19/2018 Source: The SpareFoot Storage Beat. 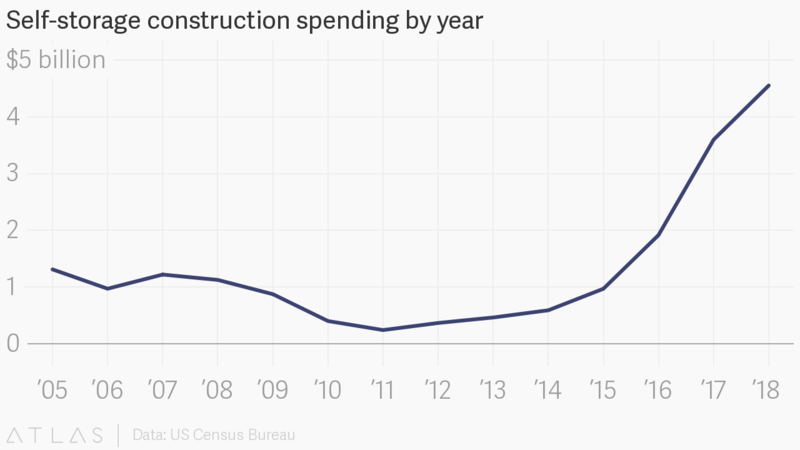 The chart below shows construction spending by month, according to the U.S. Census bureau. 2018 spending shown year-to-date through October 2018. Figures are not adjusted for inflation. Data from most recently reviewed company earnings reports. Data from most recently reviewed company earnings reports. U-Haul number reported by MiniCo Storage Almanac 2018.